What you will see here is ONLY PART of my collection. All of my collection is in the bank vaults. ENJOY!! If you need a current Beatles price guide book contact me at (916) 969-9406. I am the guy who writes the American Beatles records price guide books for a hobby. You know, I do know that Sir Paul McCartney owns a great UK Beatles record collection. If Paul has an interest in viewing my collection there are many pieces that would be “quite an eye opener” 4 him! I am sure that he gets bombarded with offers from people only to go see the item(s) and be disappointed. Believe me; Paul would NEVER be disappointed in this Fab collection!! Many people have told me that Paul truly needs to see my Fab collection. My truly incredible amazing Beatles record collection has been featured on several television stations such as CBS Evening News, VH1 Music Channel, many Beatles books and several magazines such as Goldmine record magazine. There are around 500 original 1960s’ records in the collection of which are in pristine near mint or better condition which includes tons of rare promotional and commercial records, sleeves and sealed LPs! 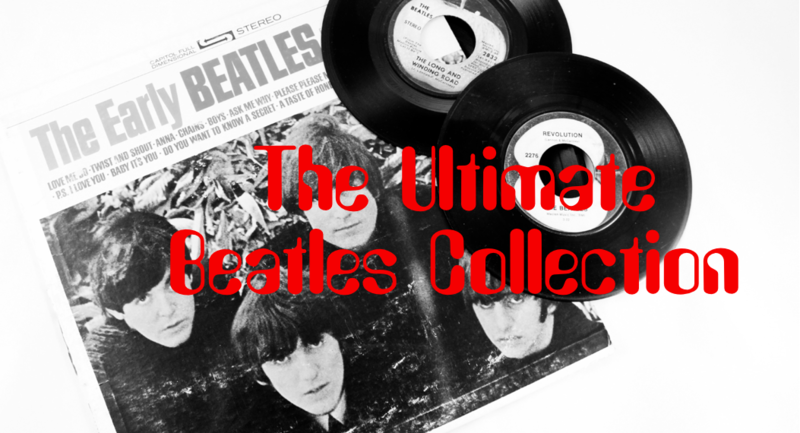 Most of the records and sleeves that are considered to be among the most valuable Beatles records and picture sleeves are in this truly amazing collection and most of those are in near mint or better condition. For those that are in near mint or better condition many of them are considered to be the best known example of that title that are known that exist in the hobby!! To see part of the collection click on Downloadable tab. 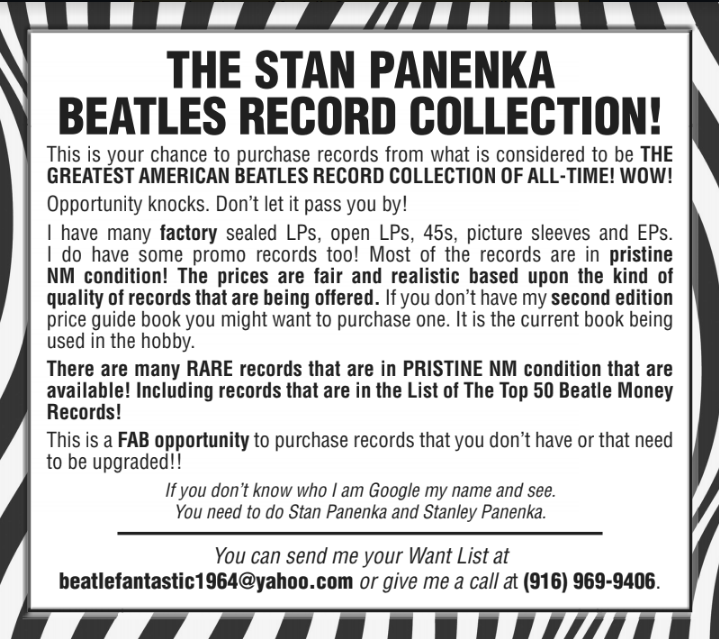 Stan is available for interviews, Beatles projects and he does buy/sell and accept quality consignments!! He can get more $$$ than most people can.